There seems to be something for every music lover on the Ravinia Festival calendar, released Thursday. Joining the already-announced Tony Bennett and Lady Gaga performances during the thee-month festival are other big names like Sheryl Crow, Aretha Franklin, Steely Dan, and Alan Jackson. Classical, jazz and family-oriented acts will also visit the Highland Park festival grounds. They include the Golden Dragon Acrobats from China, Juilliard String Quartet, Disney's Fantasia, the Ko-Thi Dance Company, and Harry Connick Jr. The full schedule is available at www.ravinia.org/Calendar. Tickets go on sale March 10 to select donors and April 28 to the general public. 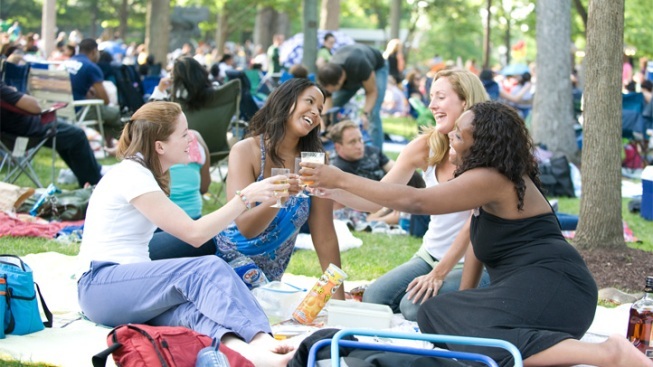 Which Ravinia Festival Act Most Excites You? The festival runs Saturday, June 13 through Saturday, September 12.